Hello, good evening and welcome to this latest edition of the MIS Online newsletter. 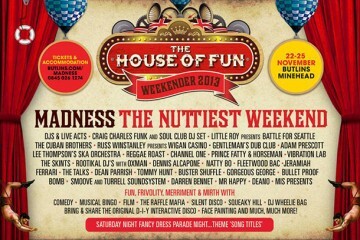 While things have been pretty quiet news wise for our favourite band over the past seven days, news should soon start to increase in frequency as we get closer to the much anticipated House of Fun Weekender at the end of November. 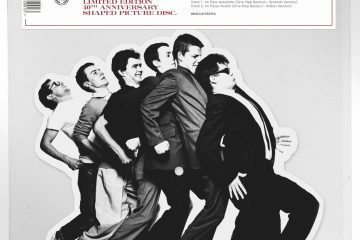 Back to this week, and we have something “special” for you in our semi regular MIS Feature section; one of, if not the first, reviews of the brand new Specials album. If you’re starting to think about what to add to your Christmas wish list then you may want to slap this on there. In other news, Suggs tour will soon be coming to an end. If you have managed to catch any of his recent shows then please do write in with a review. We’d love to publish it. Now, let’s get on with this week’s issue! With the Suggs autobiography “That Close” now available for purchase we were certain that a large number of you had already snapped up a copy, signed or not. For those of you who had yet to spend the pennies you may have been interested to learn that we’d spotted Tesco selling the title for a mere £7 in store! If you were on a tight budget and weren’t worried about getting a signed copy, then we recommended you track this bargain down as soon as possible. This week we actually had two features for you. First-up was Mark Bryant with a write-up of Suggs’ Rough Trade signing session. This was then followed by a brief review of Suggs’ autobiography by our very own Jonathan Young. On to our Live Intensified article, and it was over to Daren West who reported on Lee Thompson’s latest band. This new outfit would be headlining a free local charity gig under the banner of the Lee Thompson Band. Moving on, and it was into Tweets of Dove territory where we featured tweets from Suggs, who commented that he’d just bumped into The Magic (Woodgate) Brothers’ promotional whirlwind. Meaanwhile, Bedders Tweeted that he still played a bit of five a side (football). We brought this issue to a close by asking those of you who were currently reading Suggs’ book “That Close” to write in with your thoughts and opinions on the recently released publication. This issue began with a review of “The Penultimate Show”, as the Our House musical began its penultimate week of performances at the Orchard Theatre, Dartford. Reviewed by MIS regular Paul Rodgers, he enjoyed the majority of the stage show, but found Mira Parvin’s delivery “grating”, and even found himself texting a mate to complain during the performance as he felt she was murdering it. Thankfully, this was his only complaint about the show which he otherwise enjoyed. Moving on, and it was over to The Times Online, and their interview with Suggs, conducted by reporter Andrew Billen. The interview proved to be an interesting read, and combined talk of the past with chat about his current career presenting shows for Sky 1. “Five years ago, our daughters went inter-railing. My Wife Anne and I found ourselves twiddling our thumbs. So we bought adult inter-railing cards and travelled round Europe. A friend had moved to Puglia and asked us to visit. She had done up a place in the countryside, just outside the beautiful city of Lecce, with the intention of selling it. She showed us round and as I sat on the roof terrace with the sun setting and a glass of wine in my hand, a light bulb went on in my head and I spent the rest of the night working out how I was going to buy the place. Our House is masseria. A fortified farmhouse built 500 year ago. I’d never owned a home abroad before and was worried that I’d get bored going to the same place but as the years have gone by I like it more and more”. 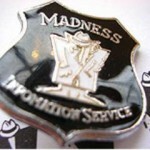 It was over to Jean-Pierre Boutellier next, and his 30th Anniversary Madness Tribute album. We’d recently learned that North London band MOT had put themselves forward to contribute a track to the collection, and as the band were spending the weekend in the studio we asked drummer Dan Fossard to give us the lowdown on what went on. “It’s all going swimmingly well so far. [I’ve] been slaving over a hot drumkit all day. Elsewhere this issue we took a look at the Madness back catalogue and various points of business surrounding their future availability in the high street and online. Yes, they were all brilliant, but they were currently unavailable. A few weeks back fans mentioned that HMV and Zavvi no longer had them in stock, and were unable to order more copies. After some investigations we were able to confirm that the band had signed to Union Square and were now in talks with EMI. Our hopes were that they’d be able to finalise a deal soon. Talking of Union Square, with the band now signed to the label we thought it was about time we gave you a whistle-stop lowdown of the company, and luckily Sarah Birke of the Independent had already done the research, so we simple re-printed her article. We brought this issue to a close with the news that Suggs had appeared on both the Richard and Judy Show and Radio 4’s “Loose Ends”, with Clive Anderson. We’d managed to make the radio clip available for download via the MIS site, so you had no excuse for missing it. We started this week’s issue off with news that despite a wheelchair going missing, and someone honking up everywhere, the hotel staff that put up with the Madness weekender lot a month or so back were quite impressed with the general behaviour of those who went. So much so, that they were apparently more than happy to have everyone back again the following year! What crazy people. Moving on to the message board on the official Madness web site message board, and we weren’t sure if messages were getting through or not, as the last message displayed was from the 6th of October. We weren’t sure if the band were aware of this, so we got in touch to let them know. It’s possible if the band perform at all next year a likely venue could be Buckingham palace, Hyde park or even Finsbury Park. Answers in the usual place. One suggestion per person. I thank you”. First we were being asked to suggest songs for the Christmas tour, now we we’re asked to suggest support acts for the 25th anniversary! Surely the venue had to be the now near-legendary Finsbury Park. Way back in MIS 151 we ran an interview with US singer Lisa Mychol’s and then in MIS 173 we reviewed her punky cover of Baggy Trousers, taken from a Stiff records tribute album. Well, for everyone who was curious but was never likely to import the album for one song we revealed that you could now hear the song for free and decide whether it was a must for your covers collection or not. Now, through Lisa’s website you were able to access not one but two lengthy Mp3 samples of the song, which meant you could practically hear the whole thing. 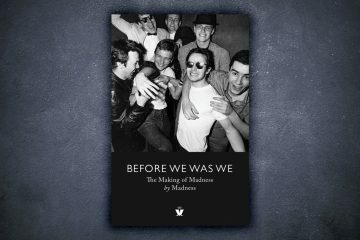 The next snippet of news was bound to excite all Madness completists out there, as thanks to chassmash.com we finally had the line-up of what tracks would be appearing on the forthcoming MADBOX3, The Madness Singles Box Vol.1. This box set would consist of the first 11 singles, presented in a flip top box featuring all the B-sides plus the well known 12″ promo of Don’t Quote Me On That MAD1. 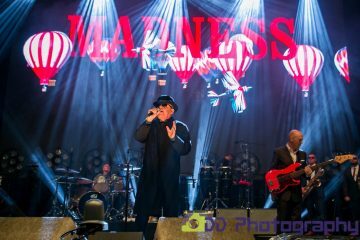 It wasn’t just the band who had been busy putting the finishing touches to new projects, as MIS subscriber Simon Walshe unveiled his fantastic web site which detailed over 100 Madness and Madness related web sites. The site is still up and running, and continues to be an excellent resource. Simply point your web browser over to: hytp://homepage.ntlworld.com/swalshe/madness/links.htm and have a look. There’s lots there! With a closing date for submissions of the 5th of November, we finished off the issue by reminding readers to submit their Christmas tour song choices as soon as possible. The deadline was imposed so that the band would have a chance to practice. 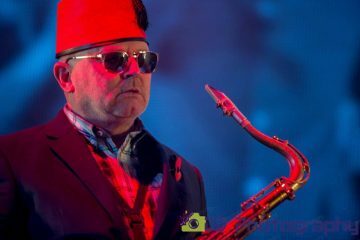 I’m chuffed to bits that I’ve been asked to give the first review of the new Specials album due out in 2019. Over this past year, I have been honoured and extremely privileged to be privy to the process and progress of the brand-new Specials album, entitled “Encore”. 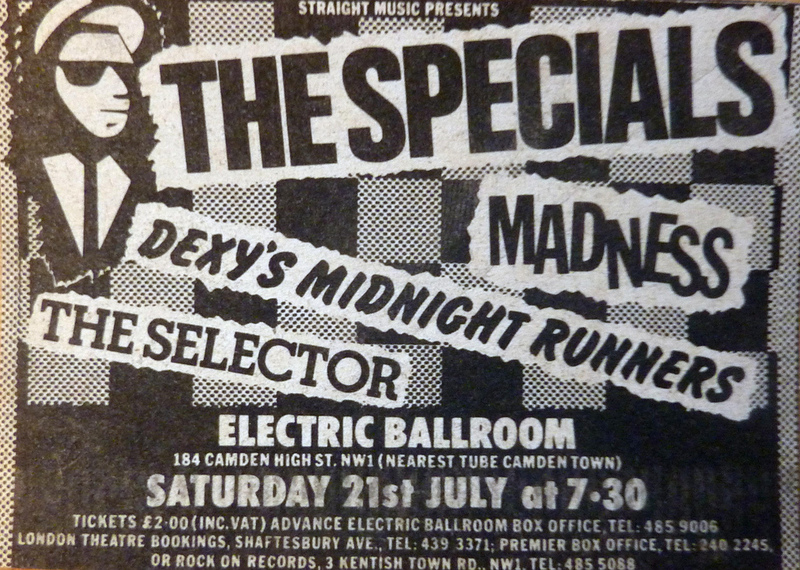 As in all things, history tells its own story and the Specials’ history is a colourful one. Members have come and gone, and the sad passing of drumming legend John Bradbury could have brought an end to proceedings. But Brad had been a keen advocate of recording new material and had jammed with the rhythm section on embryonic versions of new tunes, with the intention of taking the band to the next step, before his untimely passing. 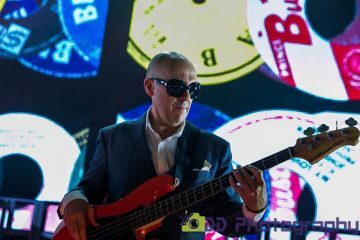 The seeds were already planted and earlier this year, original members, Lynval Golding, Horace Panter, Terry Hall were joined in a quiet London studio with the familiar touring band that have joined them on-stage for the last few years. 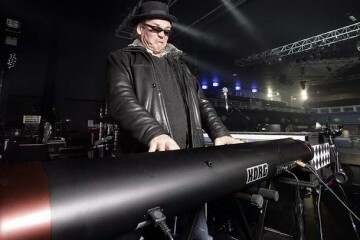 Artists including Nikolaj Torp Larsen on keyboard, who has been with the band since they first reunited, Steve Cradock on guitar and Kenrick Rowe, the multi experienced ska/reggae drummer on board. For the traditionalists, there is a reworking of The Valentines’ “Blam Blam Fever” which harks back to old influences and recalls “Too Hot” in its arrangement. The track addresses the current issue of gun crime in America. This is one of three cover tracks on the album. What will prove to be a surprise for some, “The Lunatics”, Fun Boy Three debut release is on the album. Personally speaking, I feel this track was a natural follow up to Ghost Town, and here it is done in Specials 2018 style. With hints and echoes of The Special AKA’s “In the Studio”, the lyrics remain relevant and sit superbly with today’s political climate. In continuation of the hard-hitting themes, track “B.L.M”, is a heart-on-the-sleeve story of Golding’s experiences of casual and aggressive racism. Beginning from his father’s experiences on his Windrush arrival in the UK, to the modern day, the track asks you to consider the realities of Black Lives Matter, and with a sorry trickle of racist events appearing on social media and news to the time of writing, the track is more than timely. Continuing the theme of race and in the tradition of The Specials “Black Skinned Blue-Eyed Boys” is originally a tune by The Equals. This version really opens the eyes and sees nods to many of the musical influences. Reggae and disco? You better believe it! With controversial lyrics – one world one people – it sits well with the other content. This album will prove to be controversial and divisive. Not all original fans will warm to, however, as is always the way they are damned if they do and damned if they don’t. I believe they have delivered. This is mature Specials, well and truly with two feet placed squarely in 2018 not 1979. This Are The Specials 2018 – Encore! AS pop icons Madness launch into One Step Beyond, the crowd goes wild and the cavernous Pavilion at Butlin’s Minehead vibrates to the drumming of thousands of dancing feet. 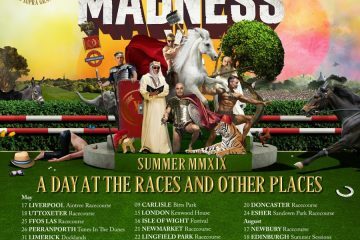 Welcome to Madness’s House Of Fun Big Weekend at the Somerset resort – three days and nights of Nutty Boys antics that appeals not just to die-hard fans but to a whole new generation discovering the ska legends. That’s just about it for this week’s edition of the MIS newsletter. 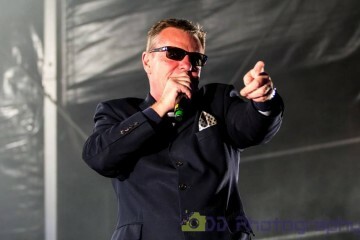 As mentioned in the intro, if you’ve managed to catch Suggs on his latest tour then please send in a review and let us know how the evening went. We’d love to hear your thoughts.